Latest Anime Here: Curiosities: Three lost scripts by Akira Kurosawa found! 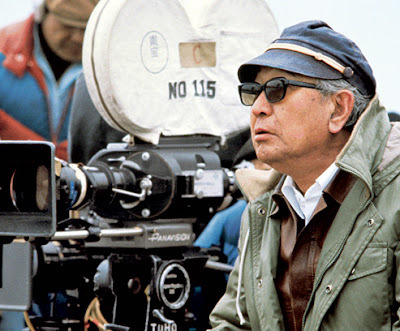 Curiosities: Three lost scripts by Akira Kurosawa found! Three lost scripts by the legendary Japanese filmmaker (The Seven Samurai, Dreams) have been found in different places and they all date from before he achieved international fame. The Tokyograph reports that the movie script Kanokemaru no Hitobito was discovered at the Shinobu Hashimoto Memorial Hall in Ichikawa, Hyogo, Japan. The script was written by screenwriter Shinobu Hashimoto, who was a collaborator of Kurosawa, based on an original idea by the director. The script was planned for a 1951 adaptation starring Toshiro Mifune (!!!!! ), but the movie was never shot. The script for Toho’s collaboratively directed 1946 film Asu wo Tsukuru Hitobito has been rediscovered. Since the film had multiple directors, Kurosawa refused to accept credit for the script during his lifetime. Whereas a script for Kurosawa’s 1942 radio drama Youki na Koujou was discovered in Waseda University’s Tsubochi Memorial Theatre Museum. Kurosawa wrote the play while he was still working as an assistant director.